What does this have in common? | McServed: Getting Served McDonalds Fast Food Funnies, Laughs and More! What does this have in common? Your date is definitely going to be disappointed that you took her to get dinner at McDonalds not to mention you fell asleep during it. 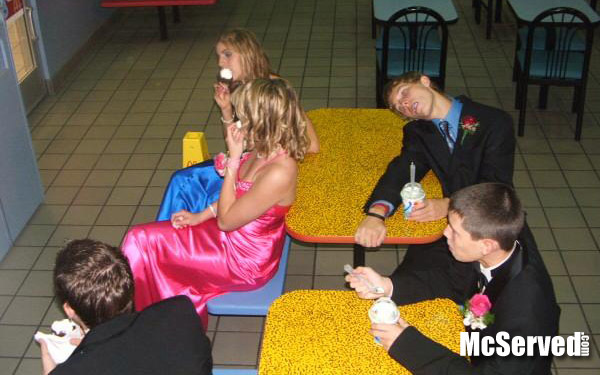 Then again she probably feels romantically “treated” to a McFlurry while you pass out. I can’t imagine why she wasn’t there when you woke up. Woo, she got to finish the taste nice.